When you visit a foreign country, you must either speak the language of the natives or expect them to understand your language. If you find it fun or easy to learn languages, that's fine, but for most of us it's a chore and extremely frustrating. For several years in the 1980s, I operated a charter-boat - taking people for boating, holidays. In the Spring of 1984 when travelling along the Canal du Midi, I stopped at Carcassonne for a week. One evening I struck up a conversation with a girl who was walking past with her dog. We started to chat about the weather and where I was going, where I came from, etc. - all in French. At one point, I was asked whether I provided French or English food for my guests. I replied that I provided vegan food. That stumped her. What is vegan food? I am no linguist and I was soon finding that although I knew what we were talking about, I didn't actually fully understand what was being said. and I couldn't express myself very clearly. After over an hour of very exhausting and confusing conversation, we said 'Bon nuit' and I was left to ponder on the experience. By chance, a week or so later, one of my guests was Olive, an 80 year old vegetarian lady, a retired teacher of French, who could speak Italian, German and Spanish. She also taught Esperanto. I'd heard of Esperanto, but as I'd never met anyone else who spoke the language, it had seemed pointless to learn it. Olive showed me some books in Esperanto and told me that she had travelled all over East and West Europe, as well as Japan, using Esperanto. A year later, in the late Winter of 1985, I came across a leaflet about Esperanto, with the first lesson of the free Postal Course, in Chester Public Library. I completed the 12 lessons in about 6 weeks and then went on to a more advanced correspondence course which I completed in 3 months. That Autumn, I sailed down through France again with the intention of wintering in Mallorca, so I wrote to Lluis Armadans. the secretary of the Spanish Esperanto Vegetarian Society in Barcelona. When I arrived in Barcelona, I telephoned Lluis and he and his family came down to see me on the boat. For the next three days, they took me home for meals, took me to two vegetarian restaurants, showed me around the City and the surrounding countryside, and introduced me to the Barcelona 'Friends of UNESCO club where there is a thriving Esperanto group. I spent five years learning French at school. I have spent a total of 9 months travelling in France, and have twice worked through Teach Yourself French and a Linguaphone course. Every time I visited the country, I struggled to carry on a conversation. Oh yes, I can ask for a loaf of bread, and have even managed to explain that I wanted a stainless steel flange welded onto the mast of the boat, but I cannot read anything other than the most simple of French literature, and certainly cannot carry on a useful conversation. I spent five or six months learning Esperanto and could use the language far easier than I've ever managed with French. I stopped doing Esperanto for five years while I did an Open University degree (maths and science), but now correspond with vegetarians in Bulgaria, Poland, France (2 people), Spain (2 people), Estonia and Italy - all in the one language, Esperanto. To me, Esperanto should be the language for all vegans and 'greens'. The use of a national language for international communication automatically puts one party at a disadvantage. When I used French in France, I was frustrated and embarrassed. When I use English in Spain (because my Spanish is far worse than my French), I feel embarrassed at my ignorance. It is arrogant and racialist to use one's own language when speaking with foreigners. As vegans, we should surely he concerned about the rights of humans as well as animals - and everyone should have equal rights for their own language. Does the Welsh language have equal rights with English? Does Catalan bare equal rights with Spanish'? Do Danish, Swedish, Italian have equal rights with French, German or English in the European Community? Which language is used depends on the dominance of the parties concerned. It is not convenience, or value, but power - economic and technological power - which is why English (mainly with American influence), French and German dominate Europe. The possible use of Esperanto is being discussed in the European Parliament. A third of all British MPs support the use of Esperanto. Several green parties in Europe have adopted Esperanto for international use. UNESCO has twice made statements advocating international use of the language, and teaching it in all schools, and the TUC has also advocated its use. But, the powerful western governments still hope that their own languages will be adopted. The German language dominates most of Europe, while English dominates much of the rest of the world. The French still cling to their own dominance in many parts of Europe and North Africa. The Chinese dominate Tibet and other minority groups in SE Asia, and Spanish dominates Central and South America. Vegans complain loudly enough about women's rights, but are almost totally silent when it comes to the rights of minority races - and linguistic equality is one of the most fundamental rights. 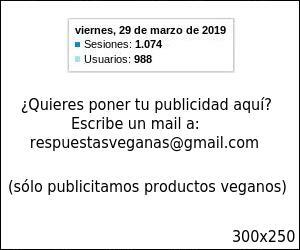 It is worth noting that there are probably more vegetarians at the World Esperanto Congress, with 2,000 people from 70 countries, than at the International Vegetarian Congress, with only 400 people from 30 countries. At one conference, all nationalities are equal and talk freely amongst each other. At the other, native English speakers tend to be dominant, while others are at a considerable disadvantage. The Esperanto movement has two vegetarian groups; Tutmonda Esperantista Vegetarana Asocio (TEVA) was founded in 1908 by, amongst others, Leo Tolstoj, the Russian novelist who so upset the Tsar with an Esperanto article which advocated freedom from government oppression, that the language was banned in Russia for several years. (The Nazis banned Esperanto for the same reason). Vegetarian Esperanto Group (VEGO) is a British-based group whose aims are to encourage the use of Esperanto amongst British vegetarians, and to encourage the spread of vegetarianism amongst Esperantists. It also gives support to vegetarians and vegans in countries such as Rumania, Bulgaria, Poland, Sri Lanka and Malaya where animal cruelty is many times worse than in our own country. The annual subscription to VEGO costs £8 (Cheques to 'VF GO) and includes the quarterly international environmental magazine, VFRDire (in Esperanto) plus a newsletter (in English). VERDire includes at least four pages of information items about vegetarian and vegan issues.